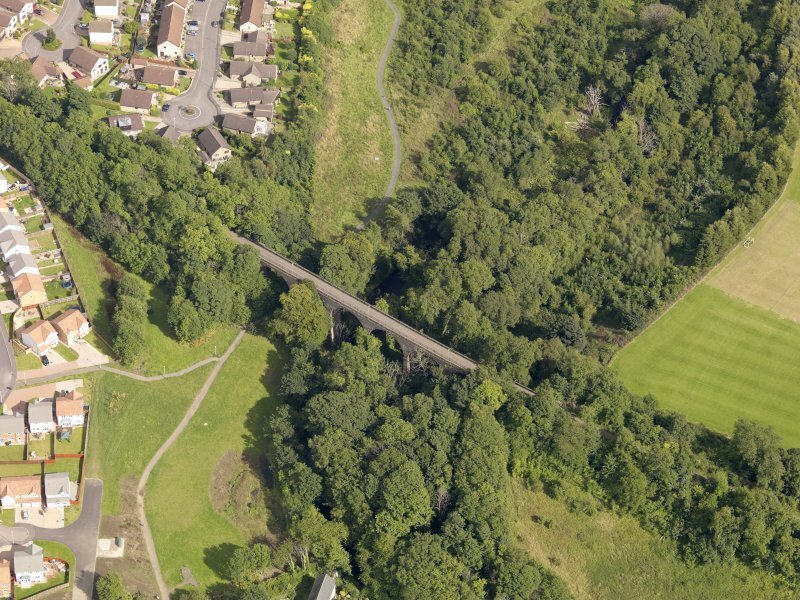 Oblique aerial view of the viaduct taken from the NNW. 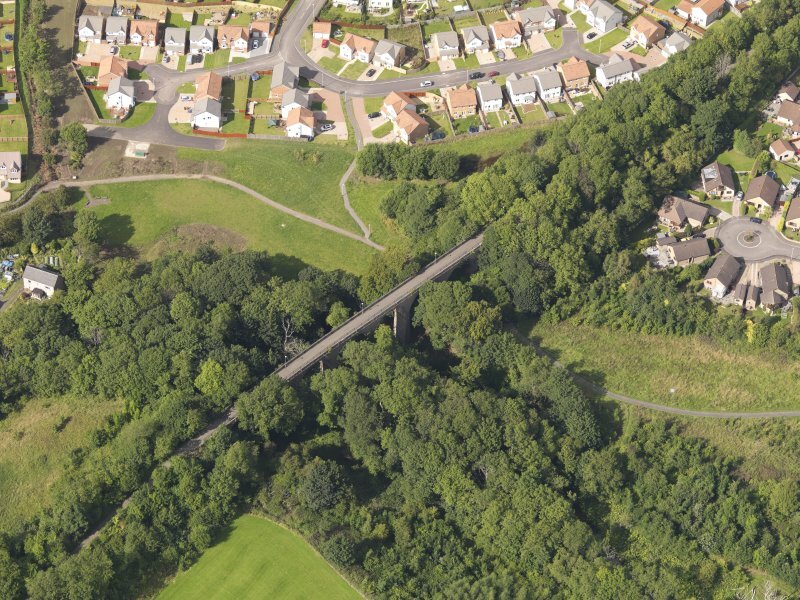 Oblique aerial view of the viaduct taken from the S.
Oblique aerial view of the viaduct taken from the SE. 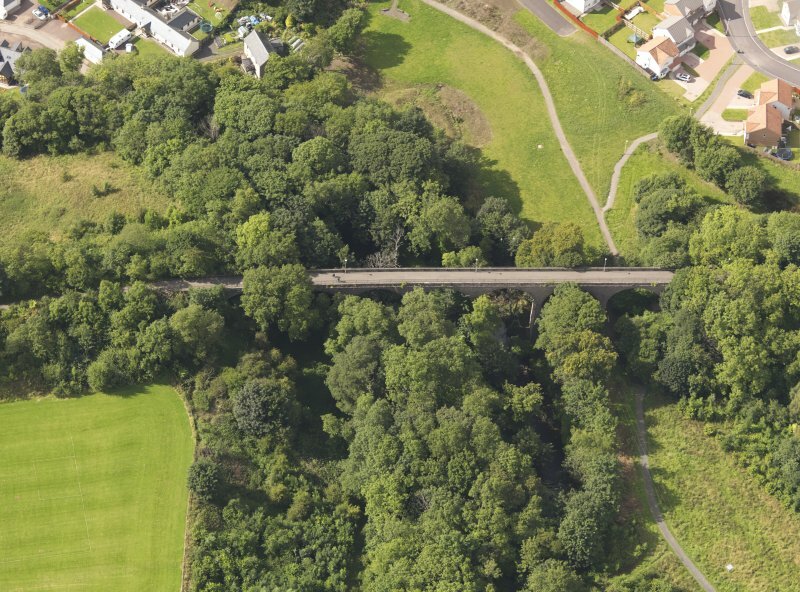 Oblique aerial view of the viaduct taken from the WNW. 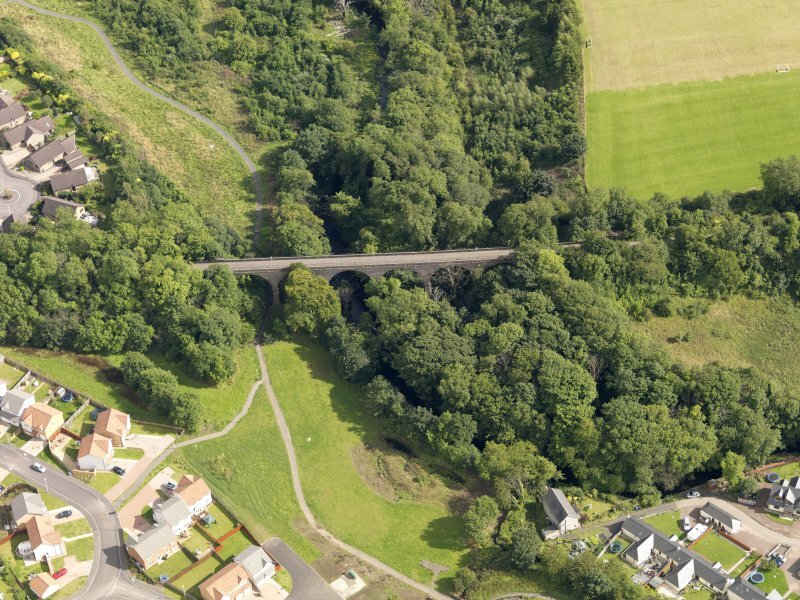 Oblique aerial view of the viaduct taken from the NW. 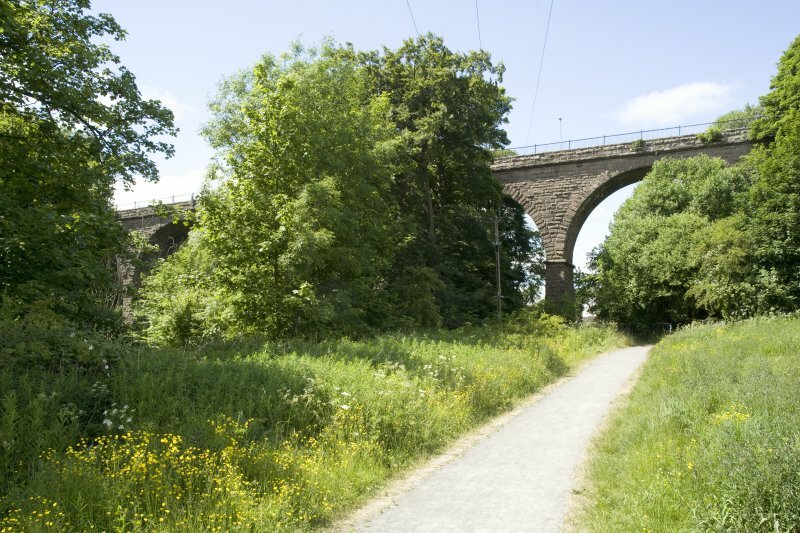 Seven arched red rubble built former railway viaduct, built c.1870 for the Dundee-Forfar Railway line of the Caledonian Railway. Now a pedestrian walkway. 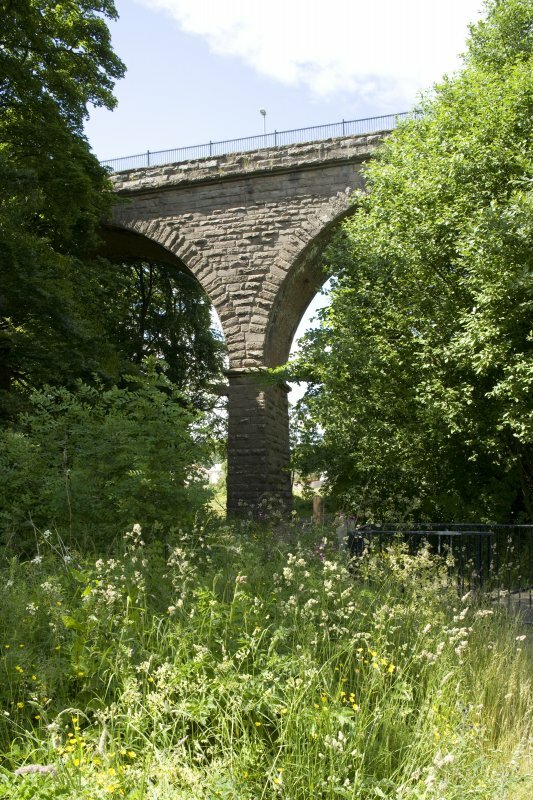 Photographed by the Listed Buildings Area Survey. 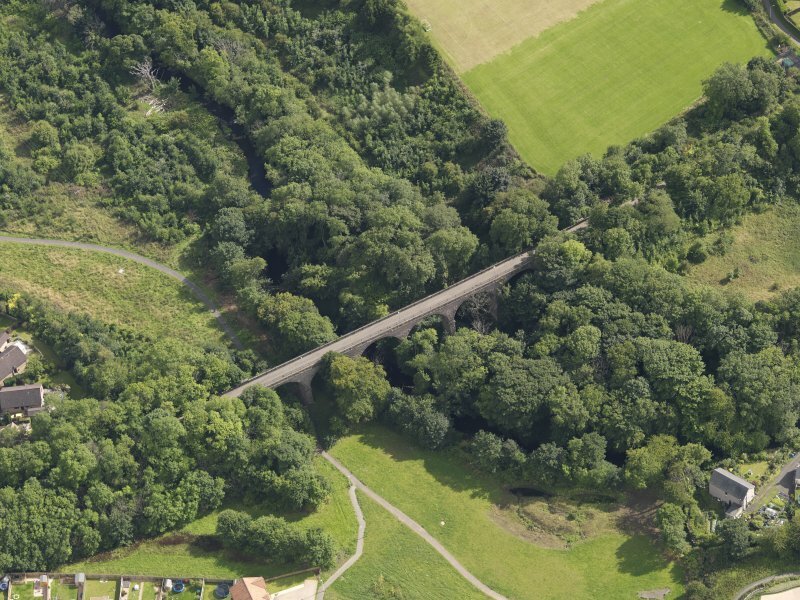 1870, a seven-arched viaduct across the Dighty carried the Forfar and District Railway, and now adopted by Sustrans as a cycle route.